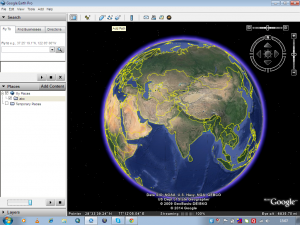 Create save digitize and download kml or kmz from Google Earth. 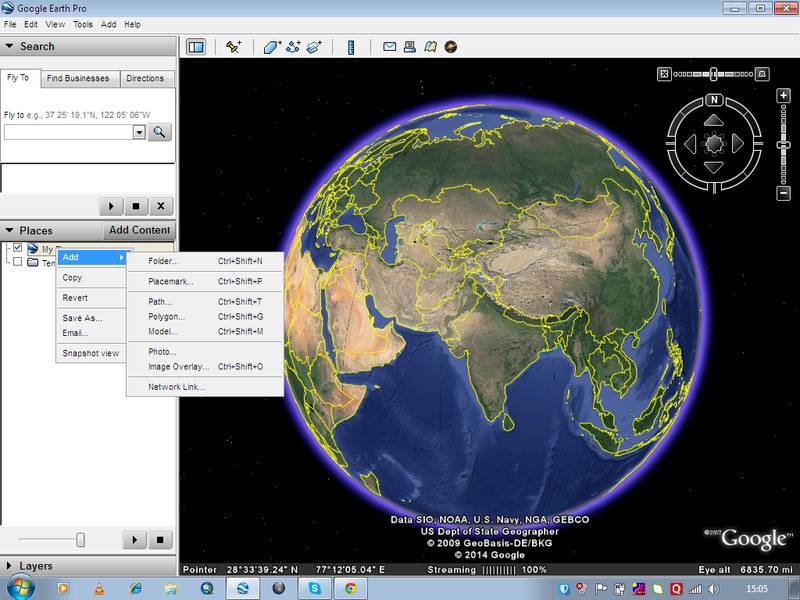 Google earth can be named a virtual globe or map of earth, which provide high resolution view of any area in recent years or any period of time from last decades. Always its not possible to go for field survey and prepare the layers like roads, places, river, water-body , settlements etc for any GIS application as it need resources and manual work which increases cost and project duration. Why do not one use a efficient way for the creation of layers like digitize kmz from the Google earth and convert it to shape-file or use directly. You can also see for how to save, create and export kml file from Google map. 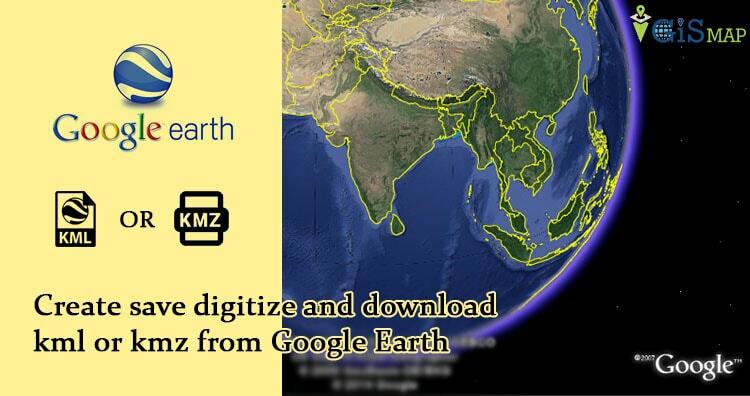 To digitize and save kmz from Google earth following steps need to be followed. 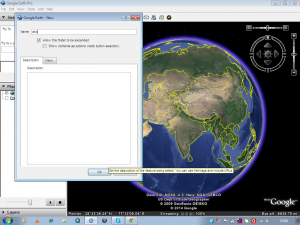 1) Start with running the application of Google earth on desktop or laptop, wait till the globe appears in the Google earth application window. 2) Add a folder to the My places contained by Places window of Google earth as shown in fig below. 3) Give name which you want to give to kmz in the tab opened clicking on the My place>add>folder button. 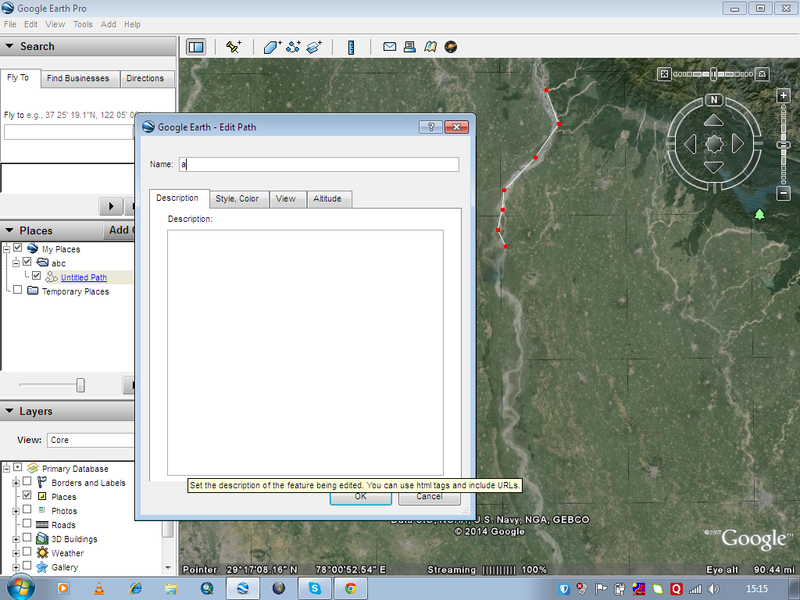 4) To plot a kmz of line type click on the Add Path button on the toolbar placed on the top of the window. 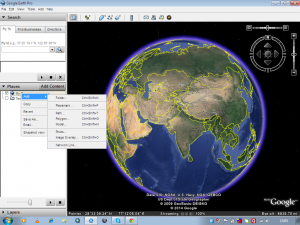 5) Start digitizing with the left click of the mouse and scrolling the window up, down, left and right by pressing the scroll wheel and zoom in and zoom out by rotating the scroll wheel inward and outward. To undo plotted points adjoining line press right click. 6) Save every line feature in the same folder named for kmz. Name of the feature can be edited by right click on the feature in the place window and going to properties of the feature. 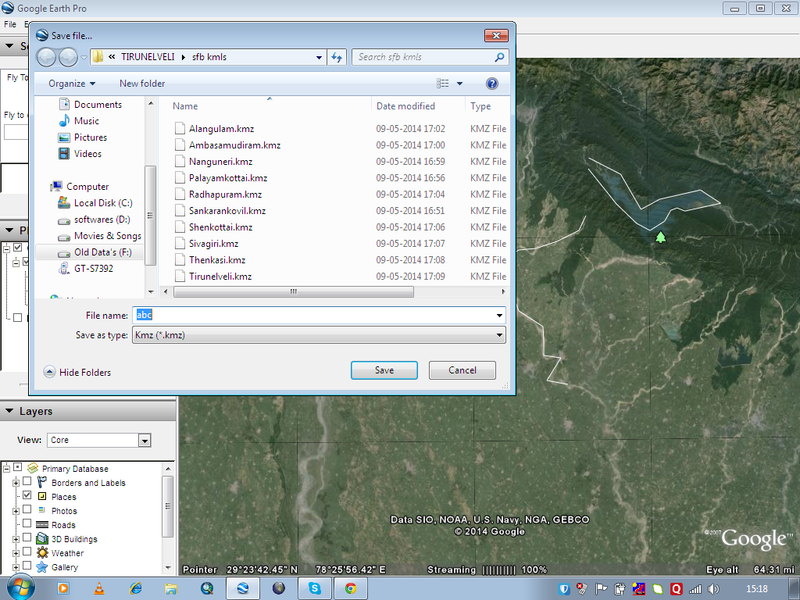 7) Now after digitizing all feature save the kmz to the desired destination by right clicking on the folder in the My places. 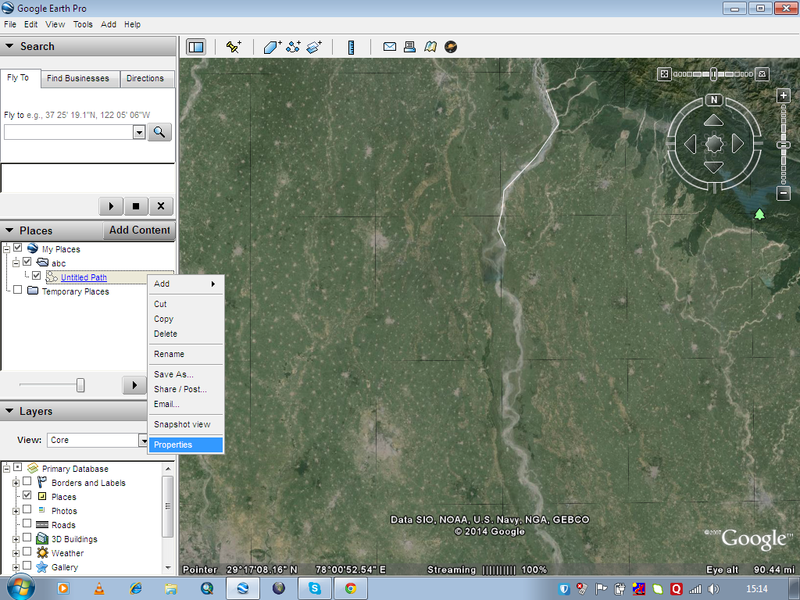 8) Lastly the question may arise how to digitize kmz with polygon and point feature. For polygon feature click on Add Polygon on the tool bar and for point feature click on Add Place marks on the toolbar. 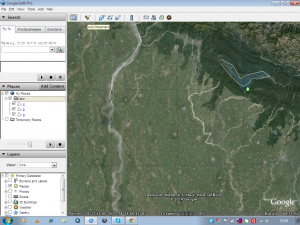 Note: Google provides Google Earth and this kind of service for free. But i suppose, if you are going to extract and create KML file with your program in bulk, then Google may notify you for the same. Thus Kmz is digitized and saved from Google earth. One may convert the kmz to shp in any GIS software like ArcGIS, QGIS, Global Mapper. Do comment below if you are getting any issue in performing above steps. 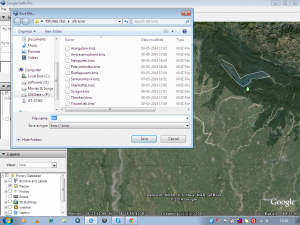 Also do let us know in what way and in which application you are using KML file for performing GIS operation, by putting the information in the below provided space. Quality articles or reviews is the crucial to interest the viewers to visit the site, that’s what this website is providing.